I originally belong to Shikarpur but was born in Nawabshah and have completed my primary and secondary education form Apwa School, Govt. Boys School and Shah Arfi Sharif Grammar High School Nawabshah. After that, I was admitted to Govt. Degree Boys College, Nawabshah where I became eligible for graduation. I yearned to be a scientist since I was a kid, thus I did study Computers, and I have a good grasp on its many complexities and particularities, which is why I consider it the most interesting engineering field I could hope to understand. Following my ambitions and immense interest in computer engineering, I chose it as the area of specialization for my undergraduate and postgraduate studies. 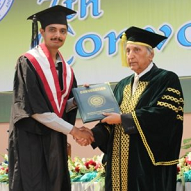 After completing my bachelor and master studies, I started working as Assistant Professor in Computer Systems Engineering Department at Quaid-e-Awam Engineering University, Nawabshah. By observing the vastness of my chosen field of study, I feel to enhance my dexterities in order to inline with the current research and development. Being an academic professional, I find it particularly incumbent to acquire more professional skills, expertise and research experience so that I can effectively contribute to the teaching field. 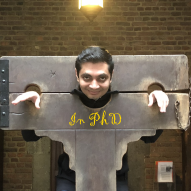 Therefore, I decided to go further with my studies and started my PhD in the Image Processing and Interpretation research group at Ghent University, Belgium. PhD researcher, IPI research group, Technicum Block-3, Ghent University, Ghent, Belgium. 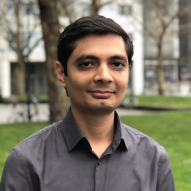 To pursue my career in challenging research area of Computer Systems Engineering and to gain excellence plus expertise in my relevant field. group, Technicum Block-3, Ghent University, Ghent, Belgium.